As we celebrate 25 years of service to the airport industry, 2016 is a special year not just for us at ACI EUROPE, but also for all our colleagues at ACI WORLD and other ACI regions – from Montreal and Washington (ACI North America) to Hong Kong (ACI Asia Pacific) via Panama City (ACI Latin America & Caribbean) and Casablanca (ACI Africa). With just over 100 staff globally (of which 20 are in Europe), ACI is rather small when compared to the (much older & bigger) global airline trade association. Yet, our size is a source of pride – as it allows us to be nimble and forces us to punch well above our weight. 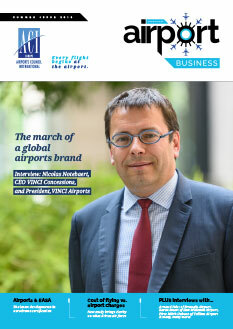 Airports Council International is now firmly established as the authoritative and trusted Voice of the World’s airports – with our unique decentralised model allowing each ACI region to best serve its members. Indeed, while globalisation has given most airports an international outreach, their local & national environment remains extremely relevant and influential – which largely explains why the saying goes that “no two airports are the same”. In Europe, the EU has effectively supplemented that local & national environment. Today, about 80% of the regulatory framework applicable to our airports originates in Brussels. 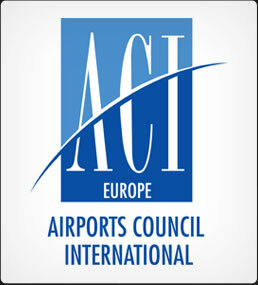 This means that while ACI EUROPE’s core mission has essentially remained unchanged since 1991 – “to represent the collective interest of Europe’s airports and promote professional excellence in airport management” – the EU has become the primary focus of our advocacy role. With the European project currently going through its worst ever crisis and criticism raging against it, I believe it is worth recalling that the EU has been transformative for our industry. Without the EU dynamic, the liberalised intra-European aviation market would have taken decades more to complete – at best. Europe’s airports would not have been able to grow their business as they did, and air connectivity across our continent would have remained constrained by antiquated bilateral air service agreements. This explains why ACI EUROPE has always approached the EU with a sense of opportunity, rather than with an obstructive agenda. This means defending our strategic interests, while at the same time accepting that change is the new normal and capitalising on it. This comes with a strategic approach to promoting the interests of our industry, supported by the compelling narrative of airports now being businesses in their own right and acting as a force of good for society. This approach has yielded benefits for our members, which are not all necessarily visible. Success in advocacy is primarily about addressing challenges before they even surface. 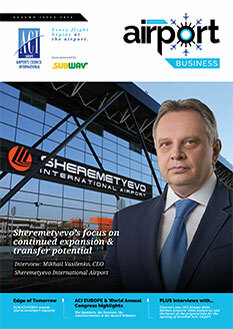 Yet, one unexpected voice about our success has been Ryanair’s famously outspoken CEO, Michael O’Leary. 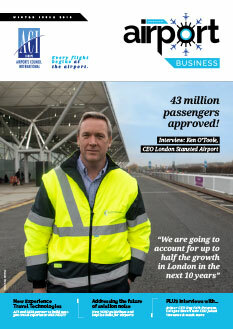 Addressing a gathering of EU Transport Ministers and aviation industry leaders in Amsterdam last January, he declared that the main reason for the creation of A4E (a new European airline association) was due to ACI EUROPE doing too good a job. It’s the kind of comment that instantly made us regret not having invited Ryanair to join ACI! That was until he then compared us to ‘the Evil Empire’ (a Star Wars reference) – which we decided could ultimately only be taken as a compliment. 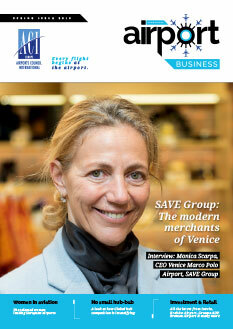 As our business and political environments are getting ever more complex and unstable, ACI EUROPE stands ready to keep supporting its members, with a clear focus on delivering value both to airports and World Business Partners. By bringing together the entire airport industry – from the mega-hubs to the very small regional airports, we also act as a unique source of expertise, key data and trends tracking upon which regulators and members alike have come to rely. But beyond our members, our strength comes from our people – a great (small) team of individuals who are truly passionate about airports and serving them.